I created Green Economy Think Tank in 2008 to convene leaders to catalyze ideas into action and grow the living economy through forums, salons, events and conferences. I lead the west coast effort for Stakeholders Capital in service to families, foundations, corporate leaders and financial institutions. Our aim is to consistently improve the manner in which responsible investing is applied to provide meaningful solutions to the needs of the most sophisticated investors who desire the best that impact investing and ESG can provide. We advise and partner with leading firms in the field to devise strategies for our clients and partners to close the gap between vision and action for capital to create a prosperous economy for current and future generations. 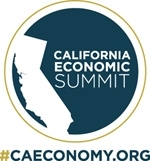 As a result of my contributions to CALFOR, I am grateful to serve our State as a member of the Steering Committee and Co-Chair of the Capital Action Team for the California Economic Summit - http://www.caeconomy.org/. Our overall objective in California is to curate better collaboration among the various financial intermediaries and investors to bring about better outcomes through transforming the way we manage finance and increasing the flow of capital into communities and evolving the manner in which impact investing is applied in economic development contexts across the state. I co-founded this a non-profit business community in 2006 of over 4,500 business owners and professionals committed to greening the economy for Greater Los Angeles. I was a member of the California Financial Opportunities Roundtable (CALFOR) in 2011, a select group of experts convened by the Federal Reserve Bank of San Francisco and the Obama Administration appointee to CA USDA Economic Development to increase Impact Investing in California.